The aphorism ‘Charity begins at home’ seemed to have had its strong endorsement at Raj Bhavan in Guwahati when Assam Governor Prof Jagdish Mukhi along with the first lady Prem Mukhi took the lead in planting saplings in the Raj Bhavan campus as a part of State government’s larger objective of making the State green, clean and free from pollution. This was stated in a Raj Bhavan press release. 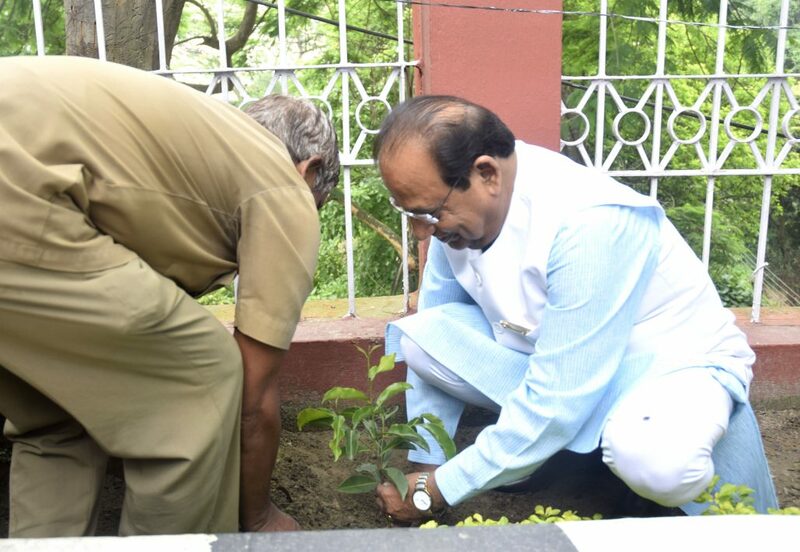 The Governor took part in a plantation drive at the Raj Bhavan campus and planted several saplings along with his wife Prem Mukhi. The Governor also chalked out an extensive plantation drive to be carried out in Raj Bhavan and outside. He asked the Additional Chief Secretary, Environment and Forest Alok Kumar to help the Raj Bhavan to aid State Government’s bid of making Assam a pollution free state. He also said, “I believe a clean and green Assam should start from Raj Bhavan. Plantation drive should be carried out everywhere”. He also instructed the Raj Bhavan staff to contribute to the beautification of Raj Bhavan. All the vacant places should be utilized in planting trees, he added. Principal Chief Conservator of Forest, Nirmal Kumar Vasu, officials from the horticulture and staff of Raj Bhavan were present on the occasion, the release added.